Again before I even finished the car I already collect all the items necesary for my sound system. I got a used graphic equalizer from Pioneer model %&$% . 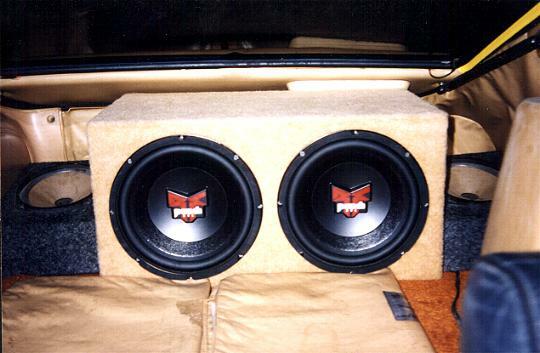 A pair of RockFord Fostgate 10" woofers w/o the box. One of the local shop wanted to charge me $200 to make this box. I got the specs from the RF dealer and made it myself. It took me a few hours and 30 dollars for materials and it sounds real good. When I bought these woofers I know I will need some power to drive them. So I got a Punch 400x4 amplifier just to drive these woofers. 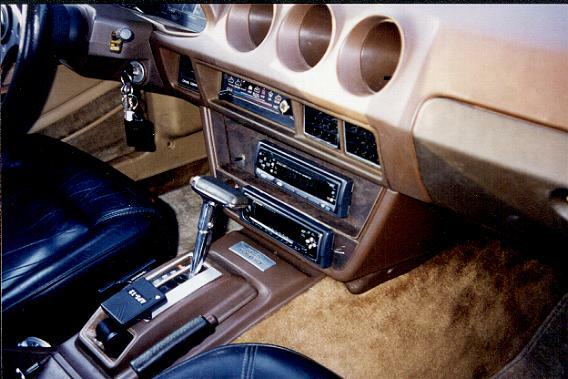 For the midrange I have a pair of 4" pioneer in place of the old speakers under the dash. 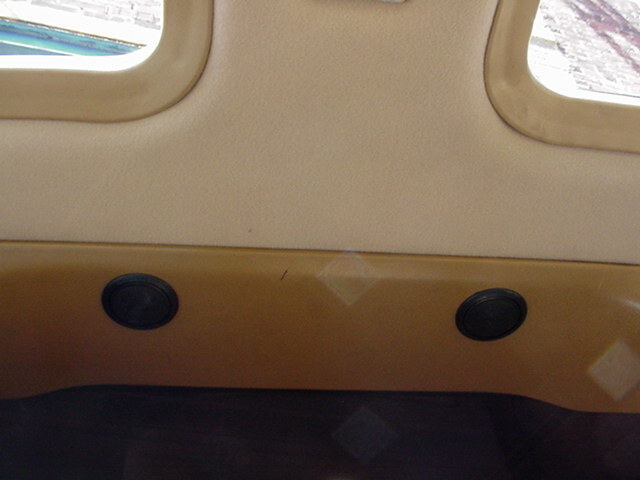 A pair of 5 1/2" pioneer behind the seat just to cover the old holes. These won't do any good so I got a pair of Infinity Kappa series 6x9 in separate boxes and squeeze them on both sides of the woofer box in the back. For the tweeter, I got 2 pairs of pioneer model #&$&%. Two flat mounted on the roof between the hatch and the T-Tops spacing. Two surface mounted on the top corners of the windshield. 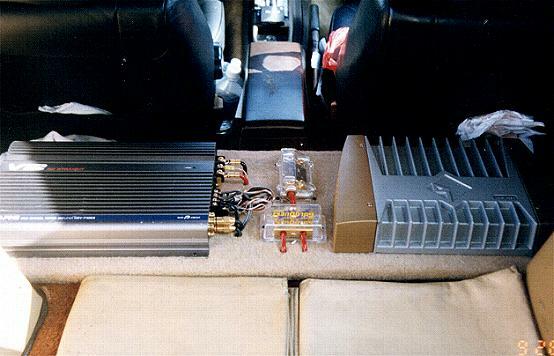 An Alpine V12 series is used to drive all the mids and tweeters. Oh by the way I did all the wiring for the sound system also. To protect all this stuffs I installed an Excalibur alarm with an interior microwave sensor. I also install a little gaget so I can roll up and down my windows with the use of the remote for the alarm. Neat huh? I've recently install the side markers on the side of the fenders between the door and the front wheel and they look real cool. Also I have 4 blue neon tubes under the car. Don't have any pictures for this yet.